You are here: Home / Ingredient / Chocolate / Thick and Chewy Brown Sugar Cookies and $100 Giveaway! 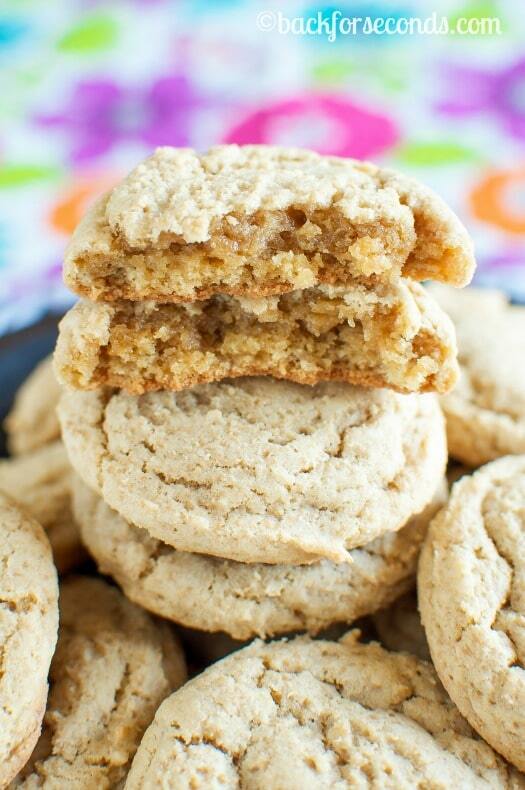 These “Thick and Chewy Brown Sugar Cookies” are sure to be a new family favorite! 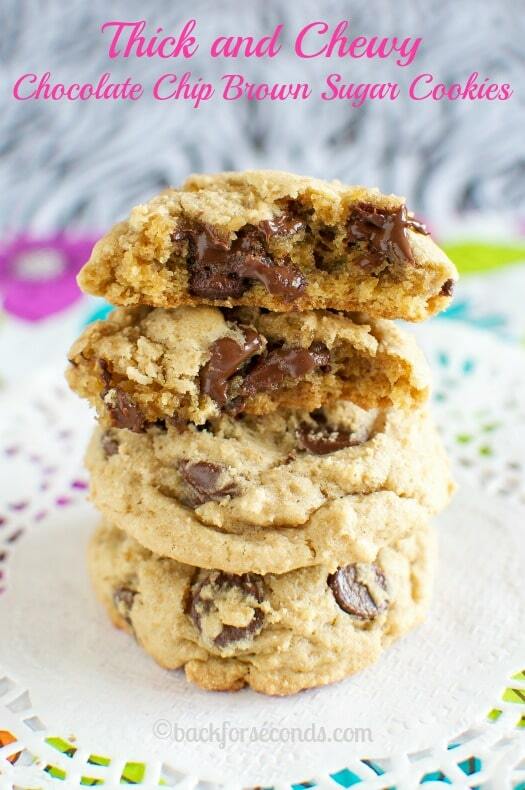 They are buttery with rich brown sugar flavor studded with chocolate chips! 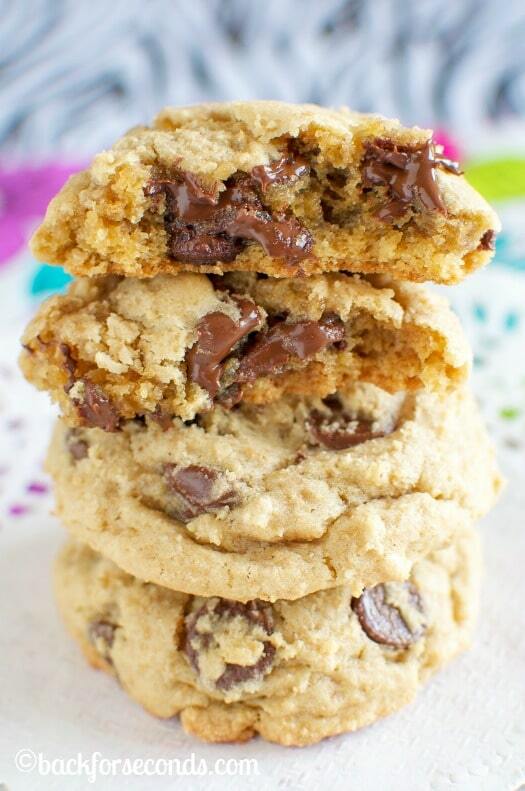 I have a soft spot for chocolate chip cookies–they just never get old. These “Thick and Chewy Brown Sugar Cookies” are a spin on the classic favorite, with a deeper, richer flavor, and chewier texture. These barely lasted 24 hours in our house! 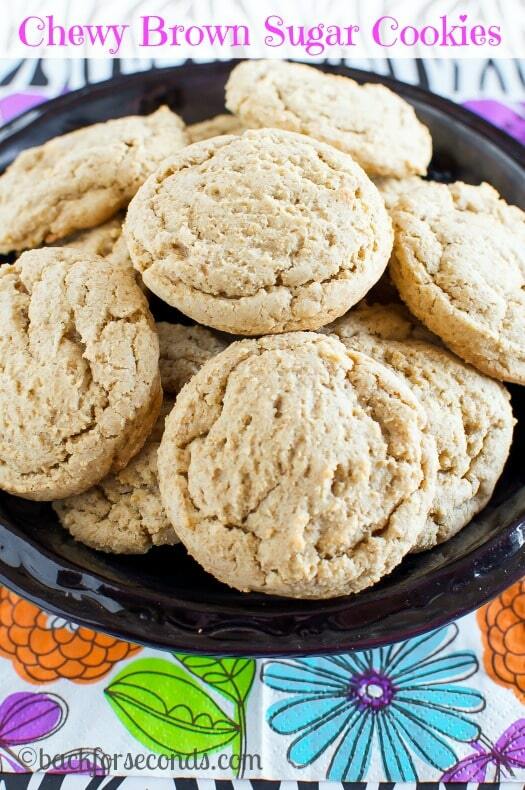 I was inspired to make these brown sugar cookies when I saw the new Domino® Pourable Light Brown Sugar! The nifty canister has a re-closeable flip top lid, which is super handy and so much neater than trying to close a bag of regular brown sugar. Am I the only one who manages to get sugar all over everything when opening or closing one of those bags?? Wait, don’t answer that. Another thing I loved about using this pourable brown sugar is that it doesn’t dry out or get clumps in it. The sugar crystals are granulated and it measures just like regular sugar. No need to pack it tightly into your measuring cup. Just pour! 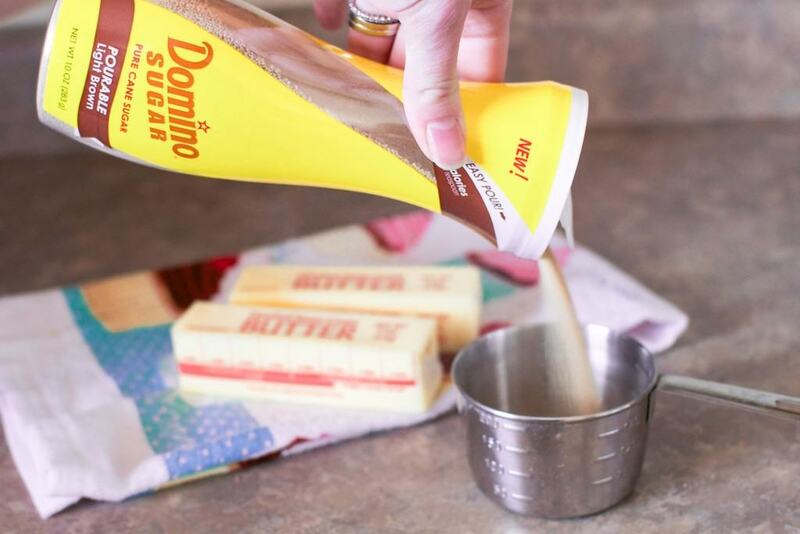 Domino® Sugar also has Quick Dissolve Superfine Sugar available in the same new canister. It dissolves quickly in hot or cold drinks, which is so nice! You may just end up leaving these on the counter to quickly grab and sprinkle on your oatmeal or to sweeten your iced tea. The containers really are handy, and I love anything that means less of a mess in my kitchen! Now, back to the cookies. I divided the dough into two batches. The first batch, I baked plain–no chocolate chips. As much as I love chocolate, I really wanted to leave some plain to fully appreciate and enjoy the rich caramel-y brown sugar goodness. I was pleasantly surprised when my kids were requesting the plain ones! The flavor is so good, you really don’t miss the chocolate! Though, I will say, a chewy brown sugar cookie that’s fresh from the oven and loaded with melty chocolate chips, is not something you want to pass up. So maybe do what I did and bake them half plain and half with chocolate chips. You can’t go wrong either way! I love to use it in my cranberry walnut cookie recipe. I need to make some of those soon! My favorite way to use brown sugar is in homemade cinnamon rolls. I like to put brown sugar in my oatmeal!